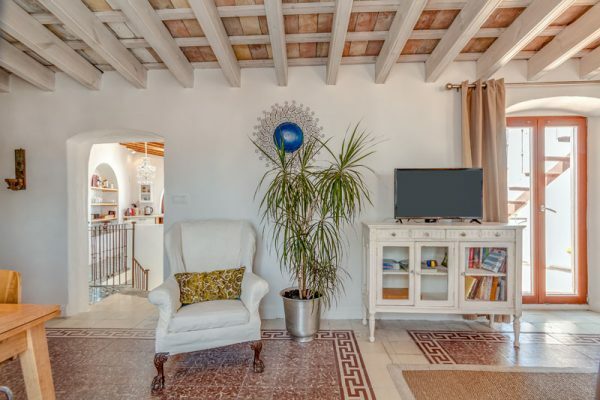 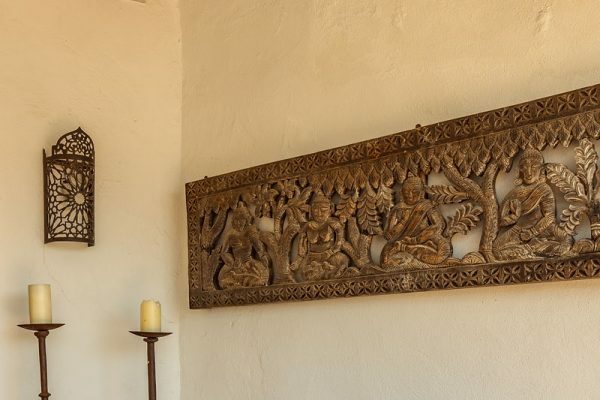 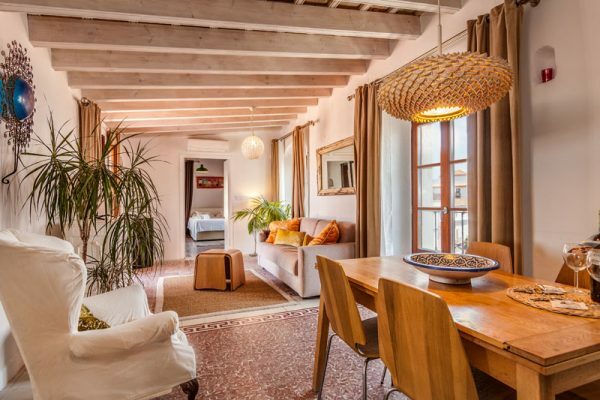 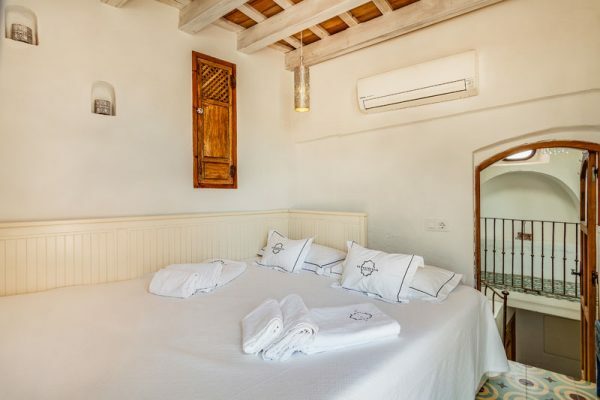 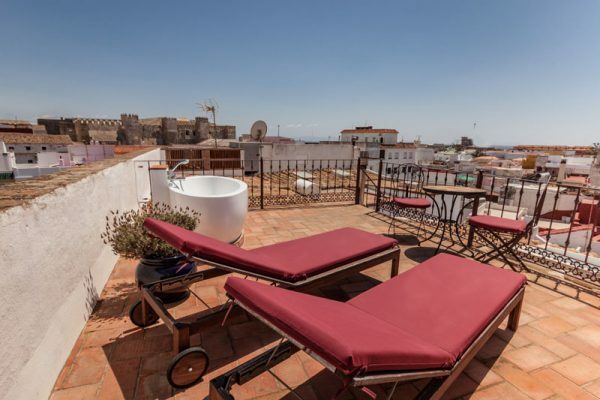 The apartment is located in the 3rd floor of an historic building in the heart of the old town. 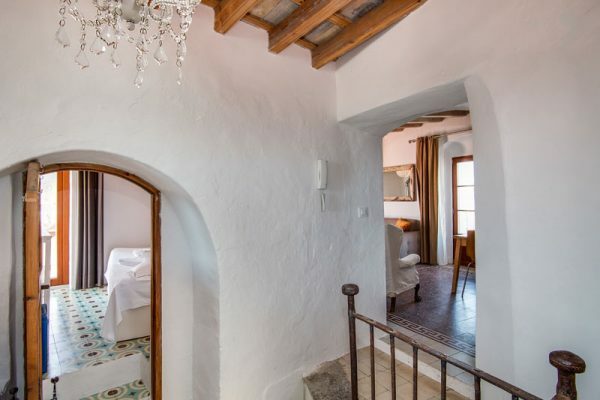 A spiral staircase of small steps leads to the apartment. 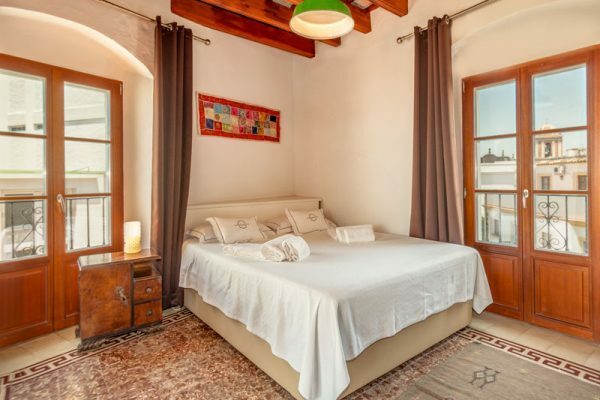 Equipped with air conditioning and a fireplace, the penthouse features two bedrooms and a comfortable sofa bed in the spacious living room. 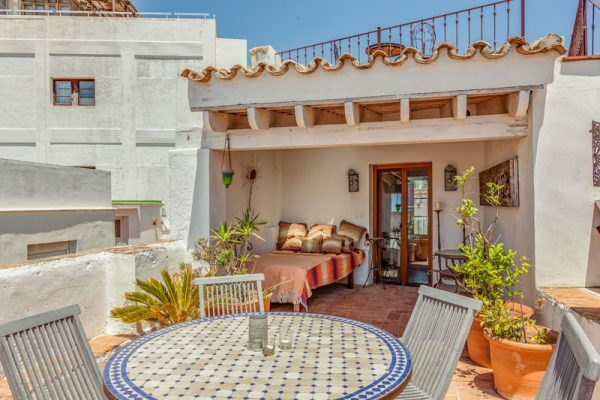 Every room has its own access to the terraces. 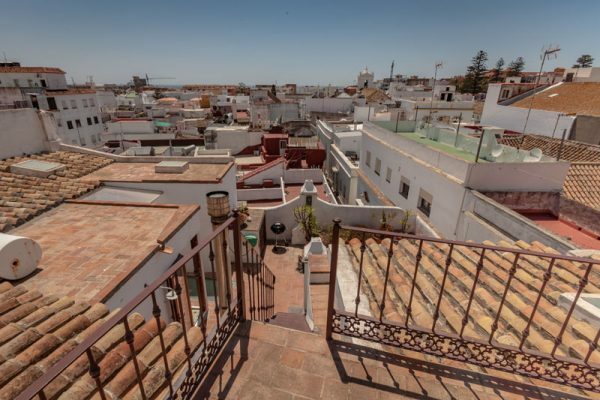 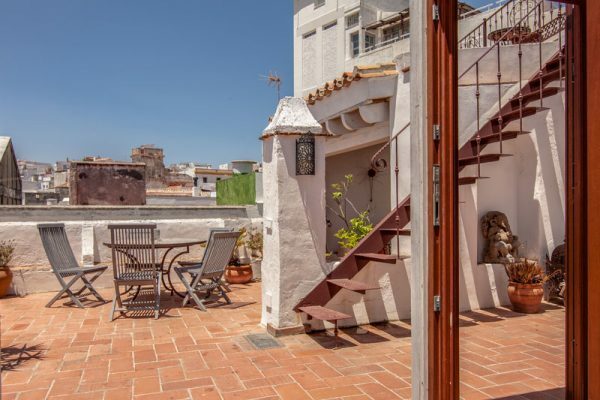 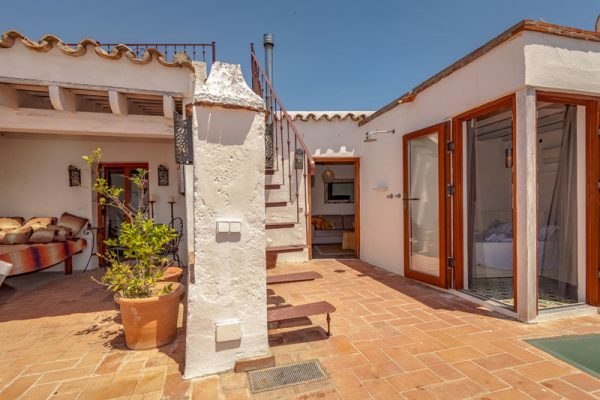 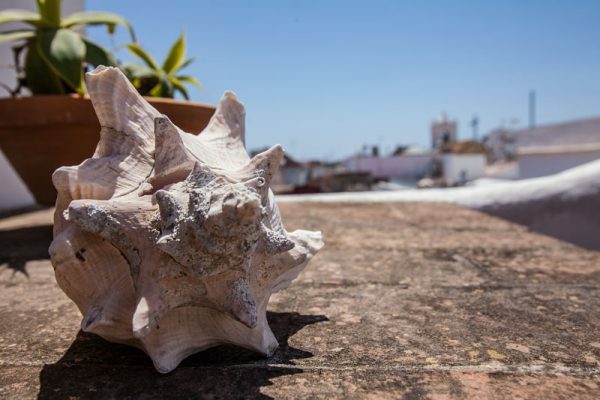 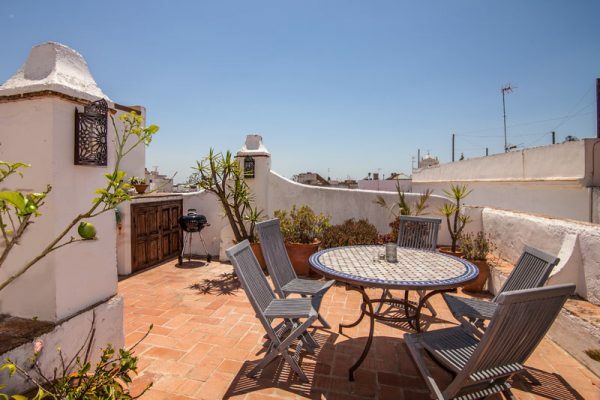 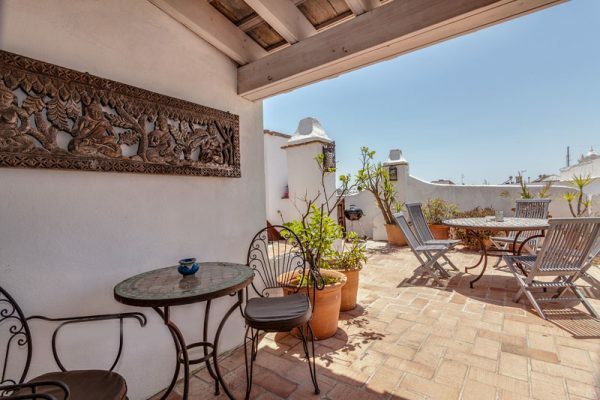 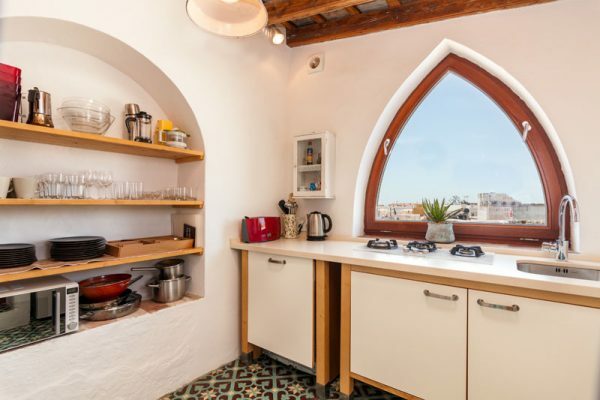 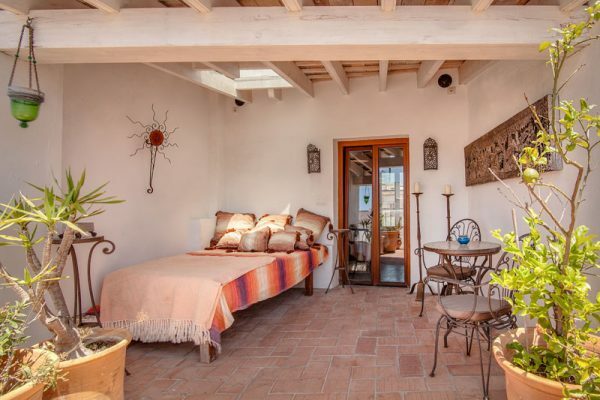 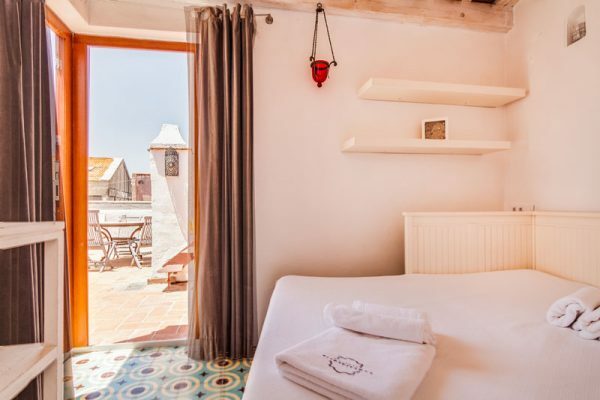 From the roof top, enjoy amazing 360º views of the old town and its main highlights: San Mateo church y La Calzada, Guzman el Bueno castle, Santa Catalina castle, and the lovely rooftops and terraces of the old town. 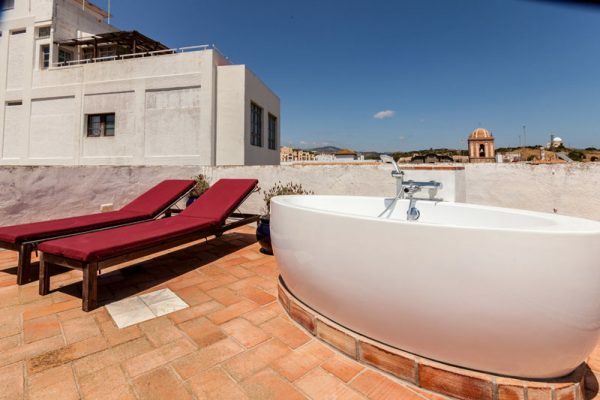 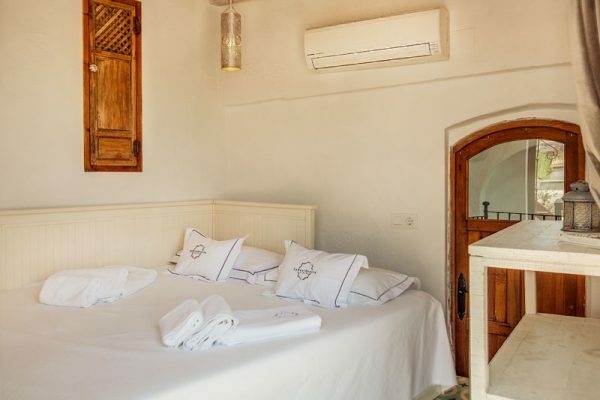 The apartment features an equipped kitchen, a washing machine, a barbecue, a lovely bathroom with bath and two chill out terraces. 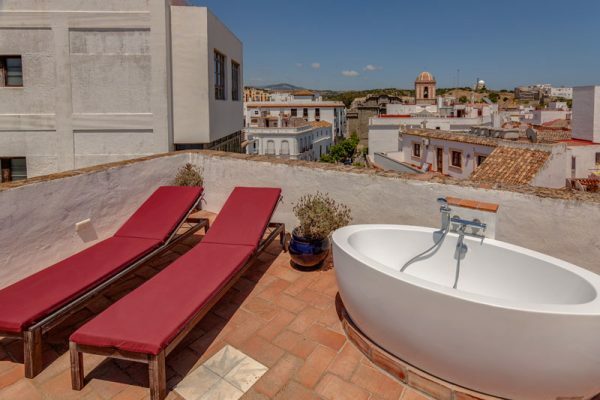 From the one on the upper roof, you can enjoy a relaxing bath in the outdoor bathtub.